In 1939, the Einig-Zenzen company was founded by Jacob Einig and his son-in-law Peter Josef Zenzen. This family owned company is managed by the founder’s descendant Dr. Peter Zenzen and his wife Regina Zenzen from Kaisersesch, Germany. 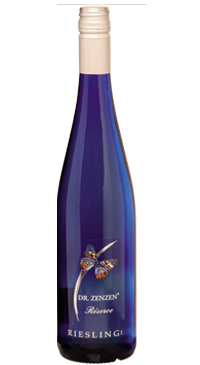 Their portfolio is vast and their focus is on native German varietals. An off dry Riesling from the Rheinhessen region. Aromas and flavours of nectarine, melon and pineapple; the palate is off dry but balanced with a lively backbone of acidity.